There will be a new performance-based Vauxhall Insignia GSi reaching the UK in 2018 after it receives its official debut at the Frankfurt motor show in September. This is the first GSi trim introduced by Vauxhall after it was last seen on the unlamented Vectra. The GSi model will produce 257 bhp and feature four-wheel-drive and chassis tweaks to boost handling. 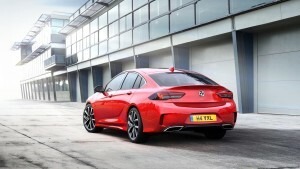 Vauxhall says it developed its new car on Germany’s Nürburgring and it will feature a subtle body kit as well as twin exhaust pipes to make it stand out from the rest of the Insignia line-up. Power for the Vauxhall Insignia GSi will come from a new four-cylinder turbocharged petrol unit developing 400Nm of torque. There are hopes for a diesel version at some point later next year. The engine will be mated to a brand-new eight speed automatic transmission as standard and Vauxhall says the new gearbox will help deliver efficiency regardless of the driving mode selected with the driver able to use a paddle shift on the steering wheel to operate it. The firm says this will deliver responsive and more active driving experience. In addition to the all-wheel drive system, Vauxhall says its Insignia GSi will feature a torque-vectoring system for the rear axle so each rear wheel can be boosted individually to help with traction. The suspension has also been tweaked and the new performance vehicle will feature specially developed shock absorbers that will help reduce body roll. The fine tuning of the chassis will, Vauxhall says, deliver the most composed and poised performance yet with the dynamics of the regular model, the Insignia Grand Sport, being taken to another level. It helps too that the suspension has been developed on a racing circuit and the GSi is 160 kg lighter than the new Insignia model will be. The new model also has a comfortable interior with new sports seats that will help with long-distance comfort and boosted lateral support – they also have heating, ventilation and massage functions. To finish off the unique offering, the GSi will also have chrome air intakes near the front wheels to help boost performance. 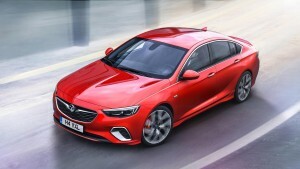 There’s a lot to like about the new Vauxhall Insignia GSi and more information about its levels of performance will be available after its debut at Frankfurt. This entry was posted in Car Leasing, Cars, New Cars, Sports Car and tagged Vauxhall insignia by Steve Lumley. Bookmark the permalink.